I absolutely loved to see 2 memory card slots! It's a pretty rugged body but Nikon has always had strong built bodies. I don't really like the overall look and design. The pop-up flash is just useless and ugly. Setting up the menu when you first get the camera is time-consuming. There are so many features and settings, it almost becomes too unnecessary. I was (and still am) disappointed about only one card slot. Canon have improved their built quality a lot! Unlike before with many entry or mid level cameras, the 6D does not feel plastic! The overall design and look is pretty neat! The quality of the LCD image display is awesome!! The Canon 6D & 5D Mark III has the same button layout. This is not always the case with Canon bodies. To keep things fair, all testing was done on Zeiss glass to avoid any lens quality differences influencing my judgement. It just wouldn't make sense to go through all this effort by using Canon and Nikon brand lenses as the variations in quality, clarity, sharpness, chromatic aberration etc. are just too broad. 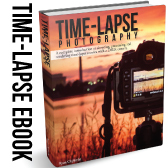 For my type of workflow, and probably many other timelapse shooters, there are a number of camera factors that don't interest me. I don't care about focusing speeds, the amount of frames per second, flash-sync speeds and things like that. I don't carry the camera in my hand as much as it's always locked down on a timelapse motion controlled dolly or just a tripod. Focusing points are irrelevant as I only use prime lenses (fully manual lenses - no auto focus). Things that are important to me would be high ISO capabilities since I shoot a lot of astro-lapses and in general low-light conditions. A fast buffer and memory. 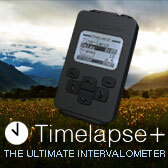 You can not compromise on your interval due to slow buffers and/or memory cards! Mega pixels are actually more important then what you may realise and bigger is certainly not better! You already produce 4K quality with a 12MP sensor so anything more than 18MP is totally unnecessary as this only fill up your hard drives faster and takes way longer to process. Also, I must be able to work fast and access settings quickly to make adjustments even while shooting, if need be. Another very important factor is the ability to use dummy batteries while shooting as I make use of external power via a battery pack. I simply cannot limit myself with around 200 shots for a night-lapse therefore I use my customised battery pack for all my shots, day and night. I also prefer 2 card slots as it improves my overall workflow speed dramatically. It's quick to separate test shots from your sequence and you can shoot RAW and jpeg to different cards at the same time, which is what I prefer to do. 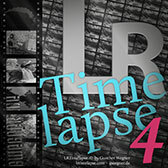 When I shoot timelapse I make use of the live-view mode all the time! It's great while composing shots and it's just a whole lot easier to view your image on a much larger screen then squinting through a viewfinder. Using the live-view mode is highly beneficial to achieve accurate focus. In this regard I prefer the Canon above the Nikon for 2 reasons. The first one being that there is a delay while focusing on the Nikon making it really frustrating to fine-tune your focus. Secondly, the exposure on the Nikon D610, while in live-view mode is automatic. In other words, when adjusting your exposure it doesn't affect the exposure that you view on the LCD screen which renders this function as useless for my needs. Unless there is a setting hidden somewhere that I don't know about or couldn't find in that BIG powerful menu. I do know this is however not the case with all Nikon models, the D800 supports both choices. For some weird reason the Nikon D610 battery didn't want to charge on my Watson Duo Charger. A 12V charger is the only charger I can use as I don't have 220V (AC power) where I travel to for shoots. I have charged other Nikon batteries before so I'm not sure if this was perhaps a faulty battery. Luckily I'm using external power via a dummy battery so it didn't affect me too much. It really slows you down to use two buttons to dial in settings while shooting. In the past I quite liked this feature from a "safety" point of view shooting as a stills photographer, but with my timelapse workflow it becomes really annoying. Nikon has a built-in intervalometer which is a bonus for quick shots but for serious timelapse shooters it has it's limitations like not having a preview on fast intervals. The Dynamic Range on Nikon is better than on Canon but that shouldn't be news to anyone. This however leads me to strongly consider the Sony A7 series. I don't like the way it feels in my hands. It's weird, even though it's a strong built camera it feels "hard" in your hand. The live-view mode is great! Composing and focusing with the Canon 6D is amazing and it's great that you can adjust the exposure to "see" what you are doing. Like I've said before, the image quality on the LCD is great! I work much faster on the Canon than the Nikon. The button and menu layout is really nice. The 6D uses the same shutter release cable as the 5D Mark III. The Nikon D610 use a different cable than any of the bigger Nikon bodies so this results in having too many cables around. The Canon also has a built-in GPS which might be very beneficial to you, depending on your workflow and what you shoot. As a bit of background I have to add that I have been shooting with both Nikon and Canon cameras extensively in the past and am certainly not biased!! At the time of this review I had a Nikon D700 and Canon 5D Mark III and there is a reason why I thought it important to own both brands. I comfortably work with both camera brands and for my particular workflow there are factors that I prefer above others. Ideally I would like a camera with between 12 - 18MP for reasons stated before but also because of better noise on high ISO shots. So in that case the Sony A7s might not be a bad idea at all. Something that bugged me a bit on both cameras is the fact that, when looking through the viewfinder you need to have a battery inside the camera, otherwise your "view" will be dark. Mostly making use of external battery power this was sometimes a bit of a draw-back to me. Normally while looking for shots and pre-composing shots, the dummy battery is still in the camera. Nikon has an ugly green cast which I really don't like! Canon is slightly magenta though but I prefer the way Canon records colour far above the way Nikon records it!! Canon records blue skies with much more contrast, colour and saturation. Nikon skies are always so muddy. You always have to add Magenta to your Nikon shots. The moment you start to add a bit of magenta, the sky is generally the first thing to become too magenta! It's as if you can never hit the sweet spot and always have to compromise on something. Keep in mind, these tests were done on the same lenses so this has no influence on the way colour is recorded. Also, all the timelapses where nature shots and I can not make assumptions on how the colour will be recorded in other lighting environments, skin tones etc. It's very important to note that your workflow differs greatly when editing timelapses vs when editing stills. Another positive for liking the Canon is the fact that you eliminate flicker 100% by using F-mount manual aperture lenses. Even though when using F-mount manual aperture lenses on Nikon, it still has the electronic communication between the lens and body. This introduce very bad flicker! I noticed during these few shots with the Nikon that not all flicker could be removed with additional software or plug-ins. Therefore, when using manual aperture lenses (not the old types, but the newer types with electronic communication) I highly prefer those on a Canon body with the adaptor ring that cuts off any electronic communication. When shooting high ISO shots, the noise is much more visible on the Nikon. 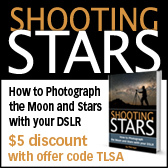 When shooting a lot of astro-lapses this is a negative aspect. 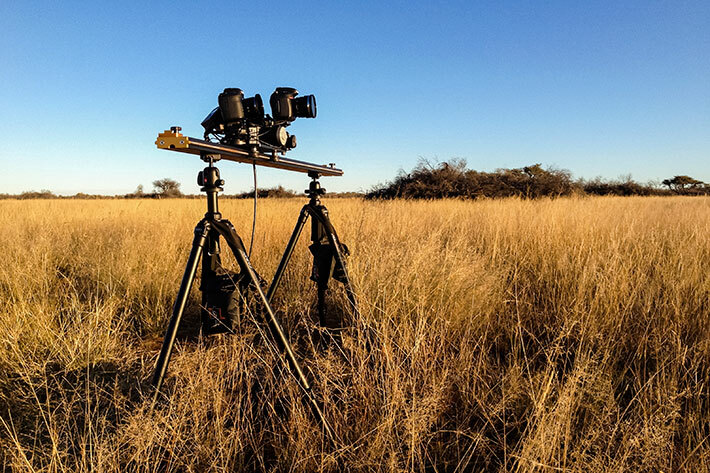 Here are some bts shots while out reviewing the Nikon D610 vs the Canon 6D in the Kalahari. The top video shows the shots from the Canon and the bottom video shows the Nikon shots. Canon 6D shot view 1st (on top) Nikon view bottom. Some BTS shots of the set-ups.